Not everybody is a fan of metal detecting—I get it. They think all we dig up are old nails and aluminum cans. But that’s not true. Sometimes we dig up soda caps too. All kidding aside, some of us amateurs in the hobby make jaw-dropping discoveries on a regular basis. Still, it’s not always easy to talk about our love of metal detecting to outsiders. 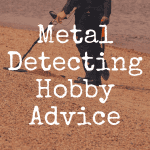 When I meet new people and the inevitable question about what kind of hobbies I like comes up, I take a deep breath and wait for the laugh or eye roll that usually follows when I tell them metal detecting is my hobby. But sometimes, something surprising happens -– the person I’ve just made my confession to doesn’t laugh. It happened to me at a party last week. I was talking to a guy I’ve met once or twice, and when I said I was an avid detectorist, he said he had always thought about getting a metal detector, but he didn’t think he could find anything good with it. The party was at my house, so I grabbed three items that I had found in hunts and let him look them over. He spent a good 30 minutes studying the finds. One was three German silver pfennig coins from the 1870s that had been soldered together, another was an old bottle I had found in an outhouse dig, and the third was an antique candleholder. I recognized the gleam in his eyes as he looked up my finds on his phone. I heard from him the day after the party. He had been telling his dad about how he wanted to get a metal detector. Turns out his dad had one he’d bought years before. He gave it to him, and my friend texted me a picture as he was headed off to his first hunt. All detectorists are old men who have nothing better to do with their time. We are treasure hounds who only care about the monetary value of our items. We spend thousands of dollars on our machines. You need to know a secret location to find anything good. Metal detecting is as boring as watching paint dry. You have to be a rocket scientist to understand how detectors work. I know lots of women who detect, and just the other day I heard from a 30-year-old man who had just bought his first machine. I’m not going to lie—I’d rather find a valuable coin or ring than an old square nail. But I’ve found lots of items that weren’t more valuable than $5 and they’ve meant just as much to me as some of my bigger finds have. Every time I find an old toy car, I wonder how heartbroken some kid was when he realized he’d lost one of his toys. Or when I find an old coin, I wonder when it was dropped, what the owner was doing and how upset he was to discover his money was missing. Many detectorists, myself included, have never sold any of the things we’ve found. I’ve had offers for my finds, but I’ve never accepted them. It’s not that bids weren’t high enough, it’s just that these items mean something to me. They make me feel more connected to the past. 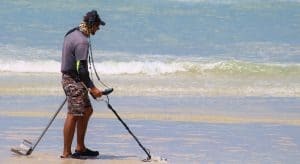 You don’t have to raid your life savings or be a rich retiree to buy a metal detector. Sure, there are models that retail for thousands of dollars, but I’ve never actually met a detectorist who owns one of those machines. 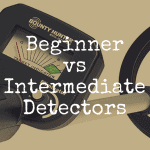 The people I know spend about $150 to $700 on their detectors. And the great thing about detecting is that the hobby pays for itself. One good day of hunting can pay for a lower-end machine if you know where to look and you sell your finds. Even the junk you find is worth money. You can sell scrap metal and make quite a bit from it. 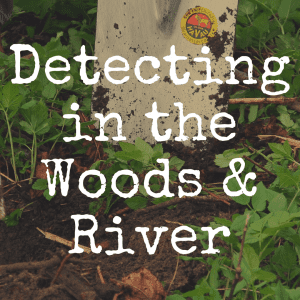 While the more expensive machines do a better job of accurately finding targets, I worked for years by using a beginner metal detector and I found great stuff – coins, jewelry, knives, lift-arm lighters and old tools. This was one of the things that surprised me the most when I first started detecting. You would be amazed at what you walk over every single day without even realizing it. I’ve only had one property that I’ve hunted where I found only a few worthless things, including a modern-day nickel and some garden stakes. It was a home built in the 1970s, and it had only had one owner. He wasn’t the type to drop anything without finding it. But most people aren’t so careful. I once spent one hour at a park and my search turned up more than 10 coins. I have another property, about a half of an acre, that I’ve been hunting for years, off and on. Every time I think I’ve found everything there is to find, I locate more targets. I’ve dug well over 100 items, not including junk, from that property alone. The owners have lived there for 25 years, and they can’t believe how much I’ve found. I’ve rarely walked more than a minute with detector in hand without hearing beeps. In fact, I hear so many beeps while I’m walking around that I often turn up my discrimination just to find the good signals, because I don’t have time to dig them all. While I’m digging a good signal, it’s exciting. I have no idea what I will find when I reach my target. It could literally be anything. I’m the first one to look at that item in decades, sometimes centuries. I’ve freed a piece of someone’s history from total obscurity. And when I find a coin, my excitement is off the charts. Coins are my favorite find. I love to see what country they’re from, what they’re made of, and what era they come from. 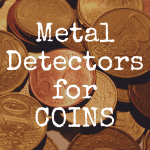 People who are intimidated about trying new things or understanding machinery can be hesitant about metal detecting. They think they won’t understand how their machine works so they don’t bother even trying. I understand the fear, but detectors all work using the same basic principles. If you start with an easy-to-operate beginner’s metal detector, you can take it out of the box and start hunting without reading the manual if you want. So now that I’ve discussed some of the reasons people think they wouldn’t like metal detecting, let me tell you what attracted me to it in the first place. I’ve always loved the idea of finding treasure that has been lost. To me, it’s the ultimate adventure, and it’s everything I dreamed of doing when I was a kid who lived in the sticks and created treasure maps for fun. When I step outside with my metal detector, I’m living my ultimate childhood fantasy, and for me, it doesn’t get cooler than that. How it would help my overall fitness: I’ve always been fairly fit, and I’ve never had any trouble getting around. But metal detecting stepped that up a notch. When you metal detect a couple times a week, you fit in a lot of walking, you wave around a 3-pound object, and you do a lot of bending and squatting. The people I would meet: I’ve met some truly interesting people I never would have just by joining a metal detecting club. I’ve also had conversations on the beach with people who ask about my metal detector. There’s a real sense of camaraderie among detectorists. They are some of the friendliest and most helpful people you’ll ever meet. 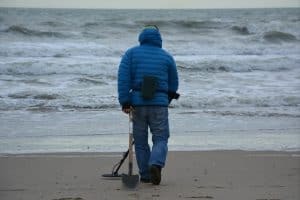 Whenever I travel on vacation, I can count on finding people who share my hobby because metal detecting clubs are all over the country and they’re always happy to hear from other detectorists. 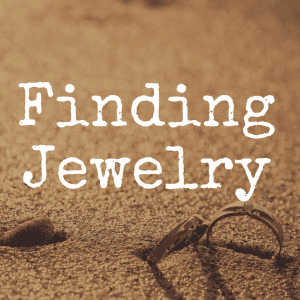 I’ve been able to help people: Whether it’s locating property markers or finding old class rings and reconnecting them with their owners, metal detecting gives me a chance to help people. I’m always happy to jump in and do what I can. 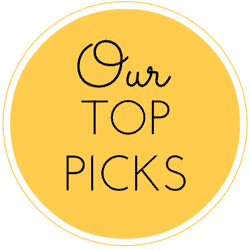 How much I would learn: I love learning new things, and metal detecting introduces me to additional knowledge on almost every dig. First, I learned all about what makes a metal detector work. Then I learned about the features on my machine, what they do, and how to use them. But on every dig, I learn about lost history I didn’t know existed. Recently, I learned about Uncle Sam play money because I found a play money dime. In my years of metal detecting, I had never found play money before. I had fun researching the coin online and figuring out what it was, even though it wasn’t worth more than two or three dollars. It’s not a stretch to say that metal detecting has made my life better. I’m better off physically, socially and mentally because I’m a detectorist. 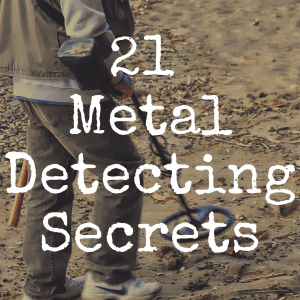 So, if you’re on the fence about buying a metal detector, you should take the plunge. It just might change your life, too.